Finding Love and Hope in Life’s Journey? Yesterday, I had the distinct pleasure of speaking to 16 people about “Finding Love and Hope in Life’s Journey”. What I found the most interesting, was all of the individuals who were there had some kind of issues with death, grief and sadness in their lives. What I found the most inspiring, was that all of those who were there wanted to do something about it, or at least consider doing something. They came feeling hurt and feeling sadness but willing to listen, listen to learn and grow, listen to change. It is my sincere hope that they left with a new spark of hope on their journey, as it is hard to navigate the seas of despair, greif and sadness. The hard part is kickstarting the process, finding the anchor that stops the ship from drifting into the abyss, and then begin navigating a new direction and path. For over 40 years I have been guiding and coaching the grieving, hurting and wounded souls down new paths towards healing. Today, I take the coaching and guiding process further along the path. 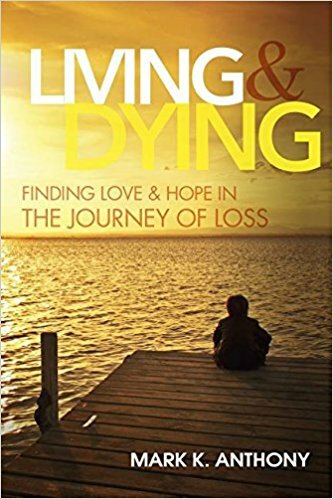 I am offering my knowledge, experience, and love to those who still feel stuck on their journey in life, and in loss. I am now available outside my funeral practice, for private session and support services, to those interested and willing. I know there is a place within us that shines light and love into the world. I know that we all get stuck and struggle, and that light can get dim when not energized and fueled. Change can be our biggest obstacle or our biggest gift. We get to choose. This is a wonderful new turn in your path Mark!! You have a lot to offer!! Next Next post: Have a great day!